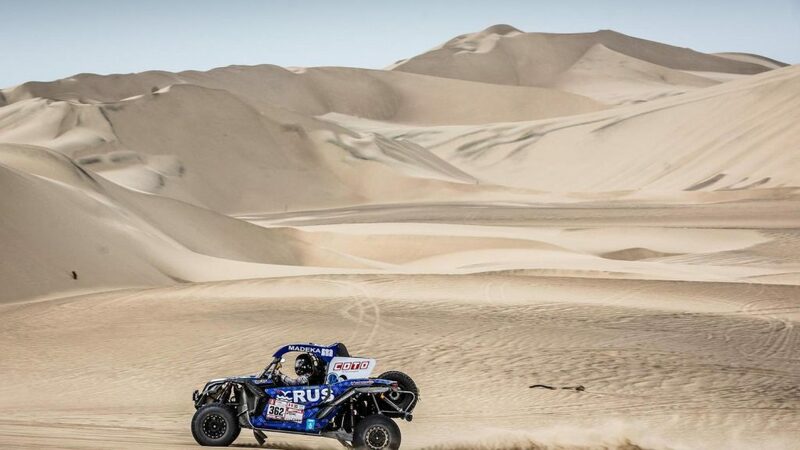 PISCO (PERÚ): Racing for the new South Racing Can-Am Team, the Brazilian duo of Reinaldo Varela and Gustavo Gugelmin put first stage delays firmly behind them to set the fastest time in the new SxS category of the 2018 Dakar Rally on the demanding 267km special stage that looped through the deserts and sand dunes, near Pisco, in Perú on Sunday. Varela lost over 30 minutes stuck in the dunes on the opening stage but the experienced Brazilian delivered an impressive performance in the new South Racing Can-Am Maverick X3 on the second special. He controlled the pace in the category from the outset and a stage time of 4hrs 18min 44sec enabled the Brazilian to climb from an overnight eighth to second overall in the SxS category. 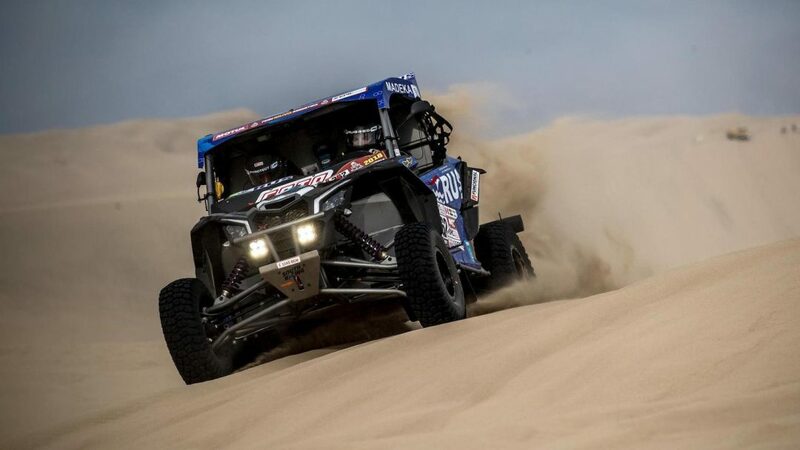 They were classified sixth and first of the Can-Ams through day one and reached the night halt in Pisco leading the SxS section after clocking the second fastest time to make it a Can-Am 1-2 finish on the day. Stage winner Varela finished 8min 59sec in front of the Peruvian and now trails by 12min 08sec in the overall standings. Today’s stage of 267km saw the cars and ATVs precede the motorcycles into the desert on a stage that took place on around 65% of a sandy surface. Navigation was of paramount importance through the difficult dunes and in enabling the crews to decipher the necessary route waypoints. On Monday, day three of the Dakar heads south from Pisco to the town of San Juan de Marcona. The special stage of 296km starts at the town of Ica along the Pacific Coast after a liaison of 208km and winds its way through canyons and dunes, skirting the famous UNESCO world heritage town of Nasca, to finish in San Juan de Marcona.